If you want to learn more about how you can protect your estate plan against a will or trust contest, please call our office now. A will or trust contest is a type of lawsuit that is filed to object to the validity of a will or trust. If a will or trust is successfully contested (i.e., declared invalid), then the court “throws out” the will or trust. This essentially places your family in the position it would have been without the challenged will or trust. This can be a disastrous outcome for your intended beneficiaries. Only a person who has legal “standing” can file a lawsuit. Standing means that a party involved in a lawsuit will be personally affected by the outcome of the case. Planning Tip: Not everyone involved in your life will have standing to challenge the validity of your estate plan. For example, even if a friend or business associate suspects that your will or trust is invalid, they will not have standing to contest it (unless they are your heir at law or named in your prior will or trust). When Can a Will or Trust Contest Be Filed? Nine states’ laws allow residents (and in some states nonresidents) to establish the validity of their estate plan before they die: Alaska, Arkansas, Delaware, New Hampshire, Nevada, North Dakota, and Ohio. This pre-death validation process allows you to confirm your estate planning decisions while you are capable of defending them, which, in turn, will bar challenges to the plan after your death. The time limit and procedures for contesting a will is determined by the law and rules of the state in which the probate case is filed. With regard to trusts, the time frame and procedures to contest them varies greatly from state to state. In some states, your heirs can be limited to as little as a few months to contest your trust, while in other states the time frame can be as long as a few years. Planning Tip: It is important to understand the time limits that an interested party has to file a will or trust contest, since in many states missing the deadline will completely bar the party from filing one. What Are the Legal Grounds for Contesting a Will or Trust? 1. The will or trust was not signed as required by state law. Each state has specific laws that dictate how a will or trust must be signed in order for it to be legally valid (usually wills not entirely in your handwriting must be signed in the presence of two witnesses who meet certain requirements). 2. The person making the will or trust lacked the necessary capacity. The capacity to make a will means that the person understands (a) their assets, (b) their family relationships, and (c) the legal effect of signing a will or trust. Each state has laws that set the threshold that must be overcome to prove that a person lacked sufficient mental capacity to sign a will or trust. Some states apply the same standard to establishing a trust and others apply the standards for capacity to make a contract (understand the purpose and effect of the contract). 3. The person making the will or trust was unduly influenced into signing it. As people age and become weaker both physically and mentally, others may exert influence over decisions, including how to plan their estate. Undue influence can also be exerted on the young and the not so young. In the context of a will or trust contest, undue influence means more than just nagging or verbal threats. It must be so extreme that it causes you to give in and change your estate plan to favor the undue influencer. 4. The will or trust was procured by fraud. A will or trust that is signed by someone who thinks they are signing some other type of document or a document with different provisions is one that is procured by fraud. Planning Tip: While it is easy to assume that a will or trust that was signed in an attorney’s office is valid, this is not always the case. Attorneys who do not specialize in estate planning may be unfamiliar with the formalities required to make a will or trust legally valid in their state. 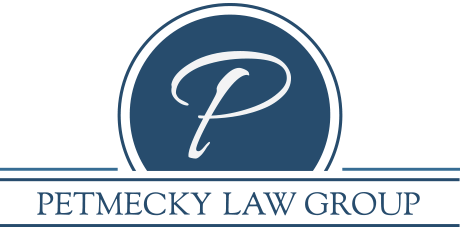 Therefore, it is important for you to work with an attorney who is familiar with the estate planning laws of your state. Ensuring that an estate plan is protected against these legal grounds is particularly important if you wish to disinherit or favor one part of your family. How Can You Avoid a Will or Trust Contest? 1. Do not “do it yourself”! If you are concerned about an heir contesting your estate plan, only an experienced estate planning attorney will be able to help you create and maintain a plan that will discourage lawsuits. Also, note that unintended consequences can result from a “do it yourself” plan because a box or DVD cannot give legal advice and it’s impossible to work around laws you know nothing about. 2. Let your family members know about your estate plan. It is not necessary to let family members know about all of the intimate details of your estate plan; at the very least they need to know that you have taken the time to create one. 3. Use discretionary trusts for problem beneficiaries. Instead of completely disinheriting a beneficiary who may squander their inheritance or use it against your wishes, you can require the beneficiary’s share to be held in a lifetime discretionary trust and name a third party, such as a bank or trust company, as trustee. This will allow you to control when the beneficiary will receive distributions and who will inherit anything that is left when the beneficiary dies. 4. Keep your estate plan up to date. Estate planning is not a transaction, it is an ongoing process. Therefore, as circumstances change, so should your estate plan. An up to date plan shows that you took the time to review and revise the plan as your family and financial situations changed. This, in turn, will discourage challenges since your plan will encompass your current estate planning goals. Will and trust contests are on the rise. Putting together an estate plan that is designed to head off challenges will go a long way to giving you and your loved ones peace of mind. If you are interested in learning more about how to create and maintain an estate plan that will be difficult to overturn, please call our office now.